Cleanroom Pure M7 Face Veils are an alternative to reusable veils or face masks, providing excellent breathability, with low lint levels. Cleanroom Shoes and Gaiters have been developed to provide comfort and safety within cleanroom environments. The lint free detachable ESD Gaiter is easy to attach to the shoe with a zip, and can be fitted to a range of footwear styles to suit most environments. The Gaiters can be laundered within a standard cleanroom laundry process. Cleanroom Permanent Lab Coats are suitable for ISO 14644-1 Class 5, GMP Grade C and D Environments and Anti static control conditions. All garments are constructed from Static Dissipative Non Linting ESD Grid Fabric – 98grm/m2 – 99% Polyester 1% Antistatic Fabric. Cleanroom Permanent Hood and Shoulders are specifically designed and manufactured from lightweight fabric with 99% polyester filament yarn and 1% polyester carbon compound filament yarn, providing an excellent combination of comfort with protection. 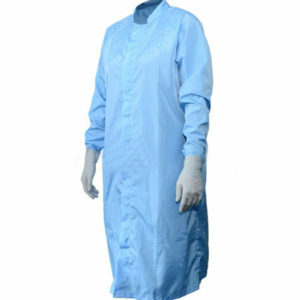 Cleanroom Permanent Coveralls are specifically designed and manufactured from lightweight fabric with 99% polyester filament yarn and 1% polyester carbon compound filament yarn, providing an excellent combination of comfort with protection. Our garments are suitable for use in both Sterile and Non Sterile environments. Cleanroom ESD Heat Resistant Gloves is a High performance gloves that provide heat resistance in ESD safe areas and Cleanroom environments. Available in 2 thermal temperature resistances to ensure performance and cost effectiveness. Pink Antistatic Finger Cots ISO 5 Cleanroom Compatible. Average surface resistivity is 1012Ω /sq. and average decay charge rate is <2 seconds. Packaged in an electro-static shield bag. Non-Sterile. Nylon Half Finger Glove Liner is White seamless 100% nylon glove liner greatly reduces perspiration and limits skin irritation caused by contact with glove material such as latex, PVC and also other chemical handling gloves. It’s sturdy construction allows liners to be laundered and reused. Nylon Full Finger Glove Liner White seamless 100% nylon glove liner greatly reduces perspiration and limits skin irritation caused by contact with glove material such as latex, PVC and also other chemical handling gloves. It’s sturdy construction allows liners to be laundered and reused. 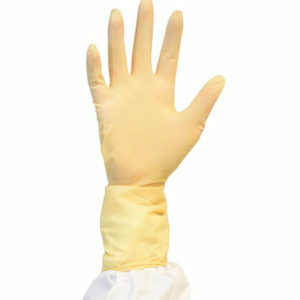 Cut Resistant Palm Coated Gloves is a lint free cut level 3 glove, suitable for use in Clean environments. The 13 gauge knit made with Dyneema® provides excellent cut and abrasion resistance whilst ensuring both comfort and breathability during prolonged wear. Finite P Indigo AF gloves is a premium powder free nitrile glove, provide an excellent barrier against oils, acids and other chemicals. The soft nitrile synthetic rubber offers a comfortable fit with good dexterity. Anti Static Contamination Control Mats are Multilayer adhesive sticky mats with 30 layers. Suitable mainly for electronics productions where electric discharge could cause problems. Produced only from harmless materials, with water solvable anti-static adhesives. KleenGuard A40 ESD Hooded Coverall products have elasticated wrists & ankles (EWA), zipper front with ANSI/ISEA 101-1996 sizing standard. Breathable; have micro-porous film laminate and better liquid and particulate barrier than TYVEK. Low in lint, passing NFPA 99 criteria for antistatic materials. Also available with a full breathable back for air ventilation and comfort. Typically uses fibreglass manufacturing. For use in tank cleaning, utilities, liquid handling, pressure washing, maintenance and general manufacturing. Cleanroom IC Hand Lotion in ESD Bottle is a natural non-contaminating static dissipative moisturising hand lotion absorbs immediately into your skin and is greaseless. Used in conjunction with wrist straps. Fragranced with all natural herbal steeped tea along with hints of grapefruit and lemon splashes. ESD Spray Bottle for use in cleanroom environments. Part of a wide range of ESD static dissipative spray bottles and dispensers available in a selection of sizes from stock. ESD Cleanroom Container square bottles with wide mouth ideal for liquid chemical or dry storage in critical environments. 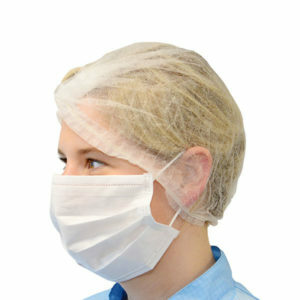 ESD pleat style face mask (210mm) with earloops (3 ply melt blown polypropylene). Cleanroom ESD Permanent Lab Coats are suitable for ISO 14644-1 Class 5, GMP Grade C and D Environments and Anti static control conditions. All garments are constructed from Static Dissipative Non Linting ESD Grid Fabric – 98grm/m2 – 99% Polyester 1% Antistatic Fabric. Cleanroom ESD Safe Autoclavable Clogs is a lightweight unisex autoclavable clog, suitable for use in critical and aseptic environments. Cleanroom antistatic disposable coverall products are designed and manufactured to meet the stringent demands of the cleanroom industry. Manufactured from a lightweight, low linting material, our products provide excellent comfort, breathability and water vapour transmission rates. Our products are CE marked to PPE Standard Category 3, Type 5 & 6 offering a cost effective option for your disposable apparel requirements, our products are available sterile by gamma irradiation and are ISO 4, EU GMP Grade A Compatible. Cleanroom Adjustable ESD Wrist Band is a lightweight, fully adjustable cleanroom wrist band with 10mm snap. ESD Cleanroom Wipe is a Static dissipative low linting dry wipe suitable for ESD safe areas. Cleanroom 100% Polyester Wipes are heavy weight laser sealed edged are a double knit 100% continuous-filament polyester. All four edges are laser cut and sealed to prevent particle and fibre release. Cleanroom Polyester/Cellulose Dry Wipes is a hydroentangled 45% Polyester and 55% Cellulose nonwoven wiper designed for applications that require the unique combination of superior strength and exceptional absorbency. This cleanroom wiper is a perfect wiping material for spill control and general purpose wiping. Economy Cleanroom Wipe is An economical low linting wipe that provides good absorption and strength even in wet applications. Cleanroom Polyester Wipes 100% – 140gsm , The heavy weight laser sealed edged Polyester wiper is a double knit 100% continuous-filament polyester. All four edges are laser cut and sealed to prevent particle and fibre release. Cleanroom Mat Frame provide a uniform, effective base for adhering tack mats securely, while permitting easy removal of the last sheet. They also enhance the appearance of mats. Frames are held in place by a non-skid base. The frames consist of a sloping 3″ (76mm) anodized aluminium edge, with an additional 1″ (25mm) inner edge which the mat sits on within the frame. A plastic base is permanently secured for rigidity and performance. 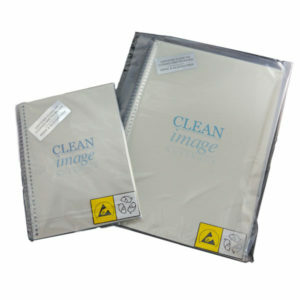 Cleanroom Contamination Control Mats are a multi-layered clean-film full adhesive layered cleanroom mat that effectively captures dirt and dust from foot-traffic and equipment wheels before entering a controlled environment. Numbered layers on the mat peel off easily to reveal a new clean surface.